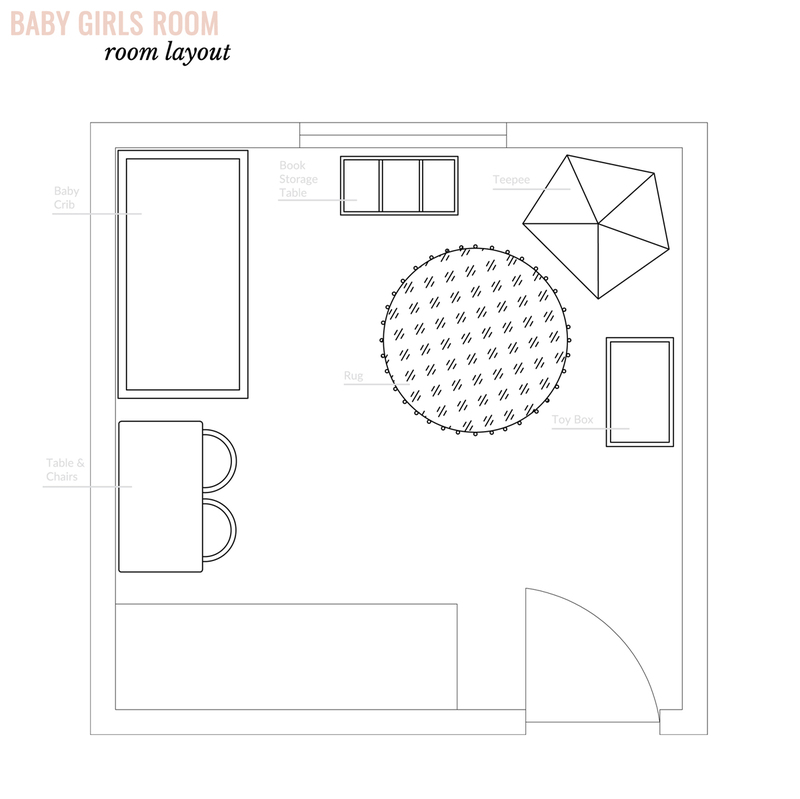 So way back in September we were talking about making over a bedroom in a rental home for a little girl, and the constraints we were working with. 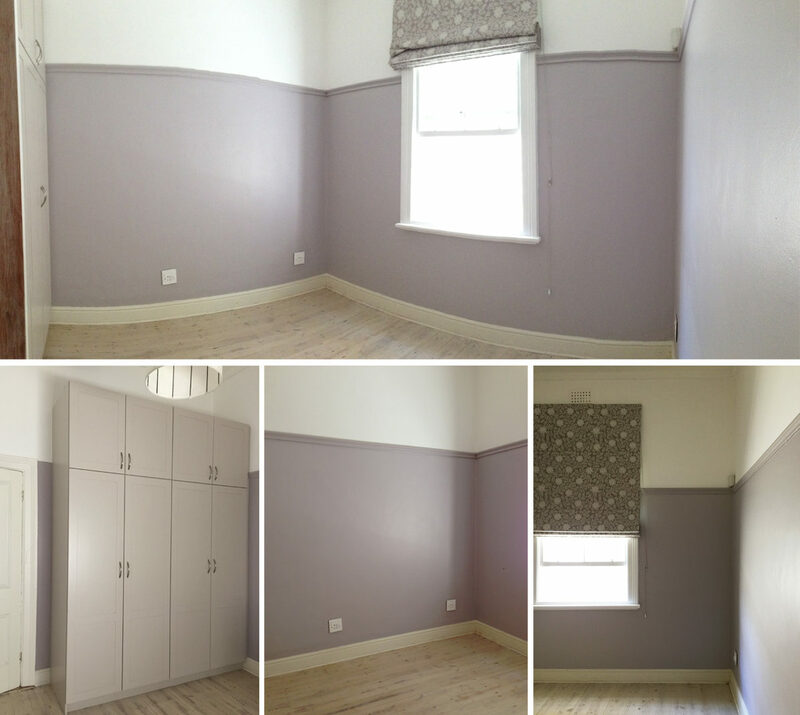 The room is painted a light mauve colour with matching paisley blinds. 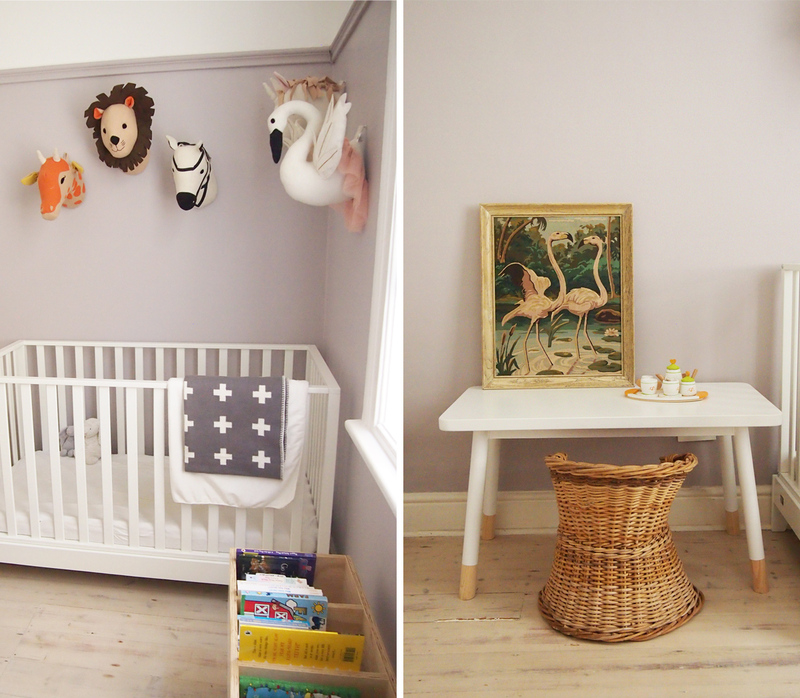 Given the short nature of this rental we resisted the urge to paint or make material changes to the room, apart from bringing in loose furniture and accessories. 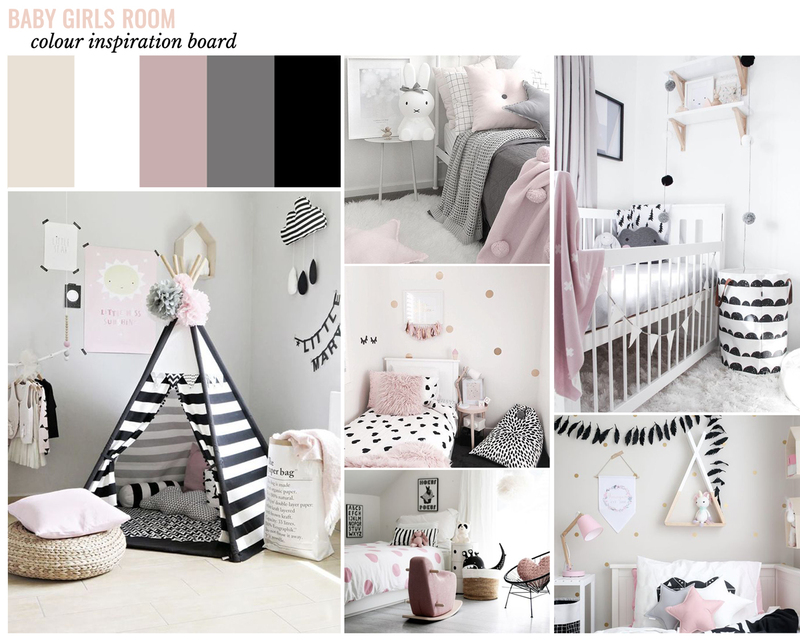 This was our final inspiration board for the room, as well as the floor plan for the space – which you can see is a small box like space. Just like I don’t like saying “I’ve done Paris” after I’ve travelled to a city, I don’t like saying a space is finished, as we all know spaces evolve with us over time. However, this is what the room looks like now. The bookshelf from Hello Dovetail is an amazing piece. 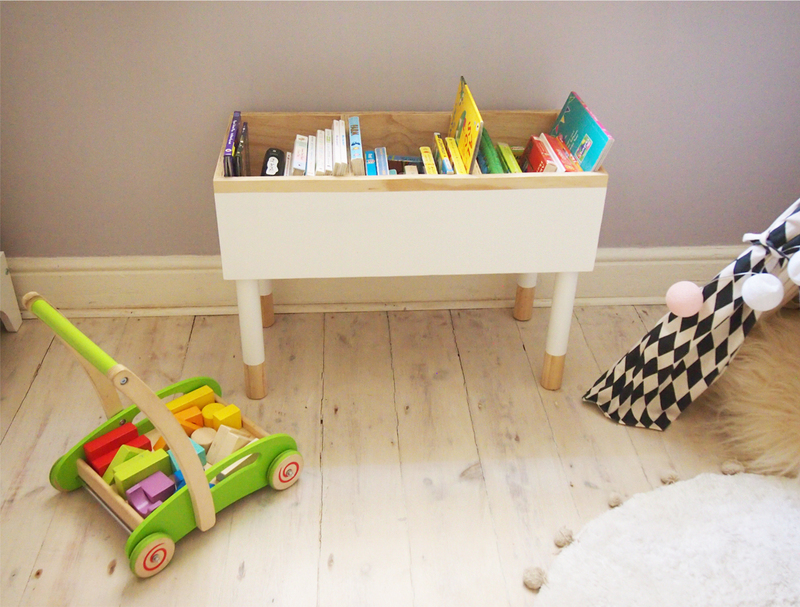 It’s the perfect height for kids to be able to help themselves to books, and much easier than a traditional bookshelf for them to be able to pack books away. 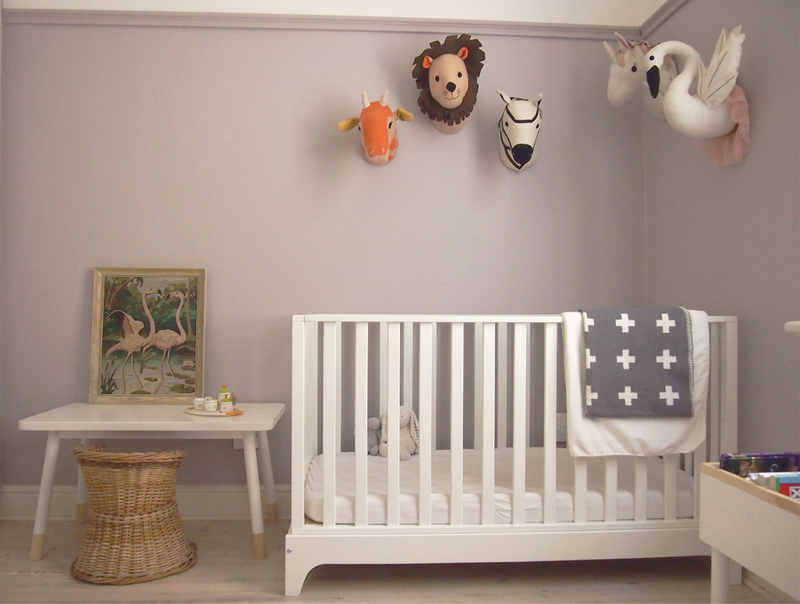 I have to say I don’t particularly love the look of this cot bed – at least its simple and not offensive – but since we will move to the small bed phase soon I didn’t want a cot for just a few short months and then have to upgrade to a new bed too. 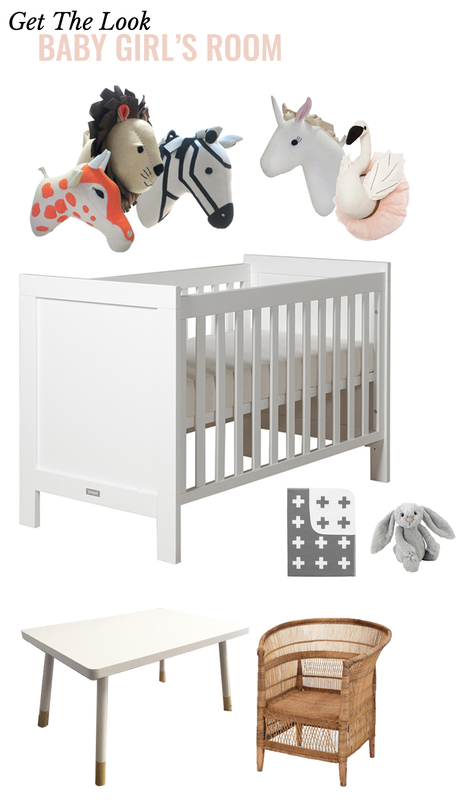 My favourite look for a kids crib is the Stokke Home Bed, but at three times the price of this cot bed it depends on how much use you are going to get out of it. I’m in love with that vintage flamingo poster, which I picked up during my travels in Austin, Texas. I was very pleased it made it all the way to Cape Town in one piece! 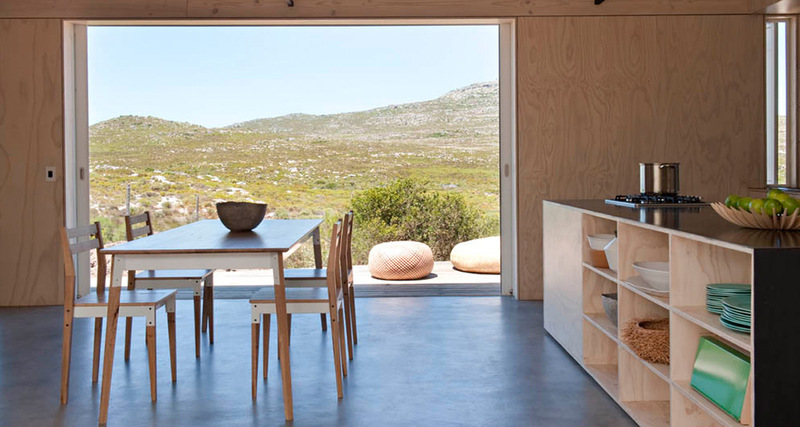 The book shelf and table are both Hello Dovetail and the malawi chair is from Cane Furniture Cape Town. 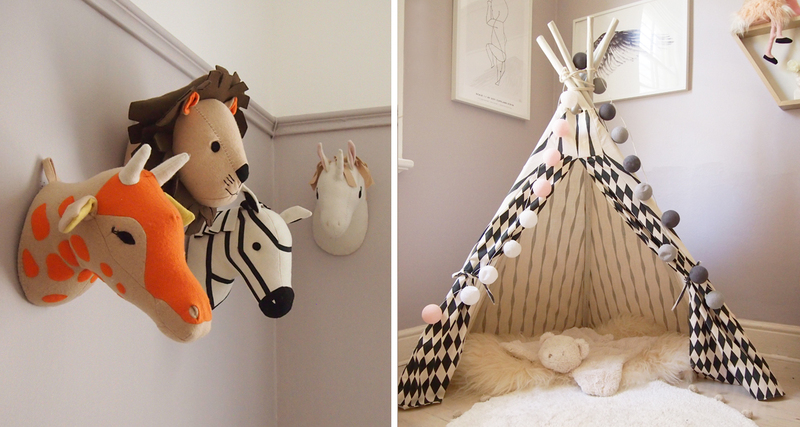 The teepee in Sofi’s room was made by us using Skinny Laminx fabric. If you’re after one of your own contact us and we can send you a quote based on your fabric choice. 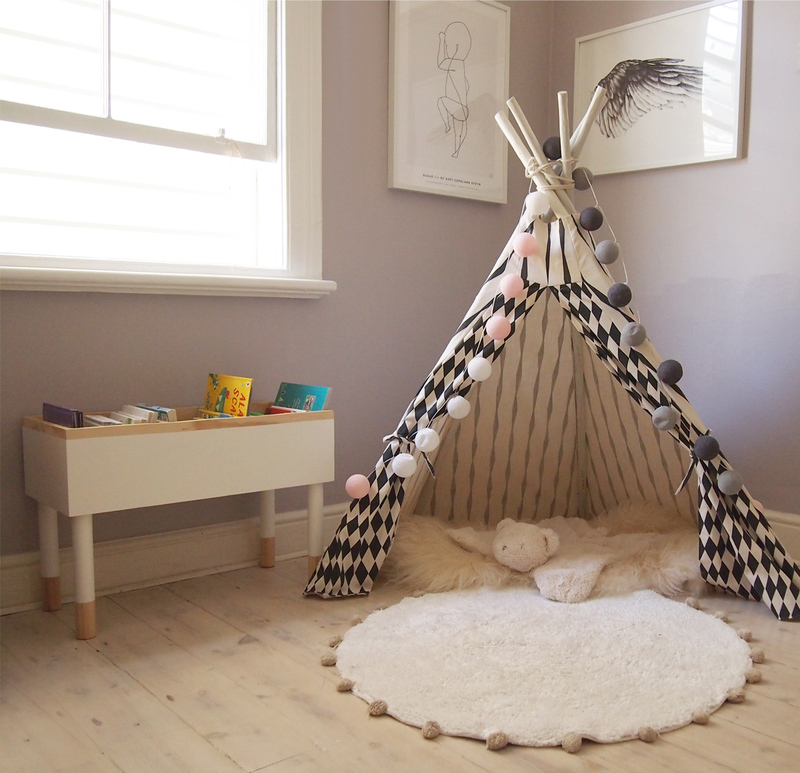 The round pom pom rug is from MRP Home. The Birth Poster was a gift from a friend and I absolutely love it! It’s a 1:1 life size outline of Sofi at birth, detailing her height, weight and time of birth. 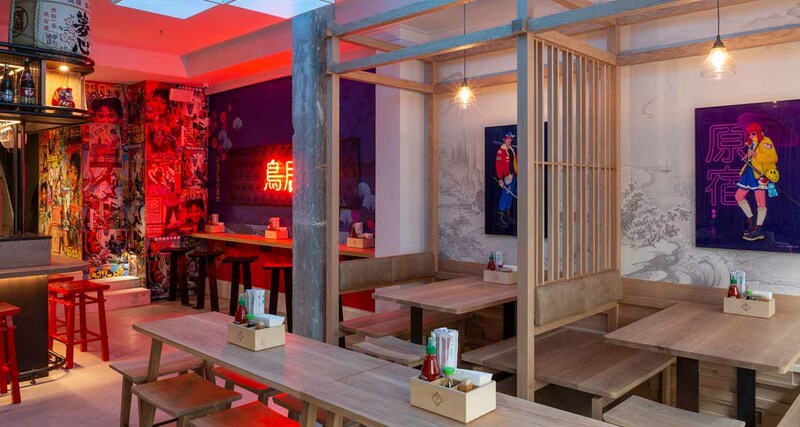 The ‘angel’ wing poster is from Norsu Interiors, an Australian company. 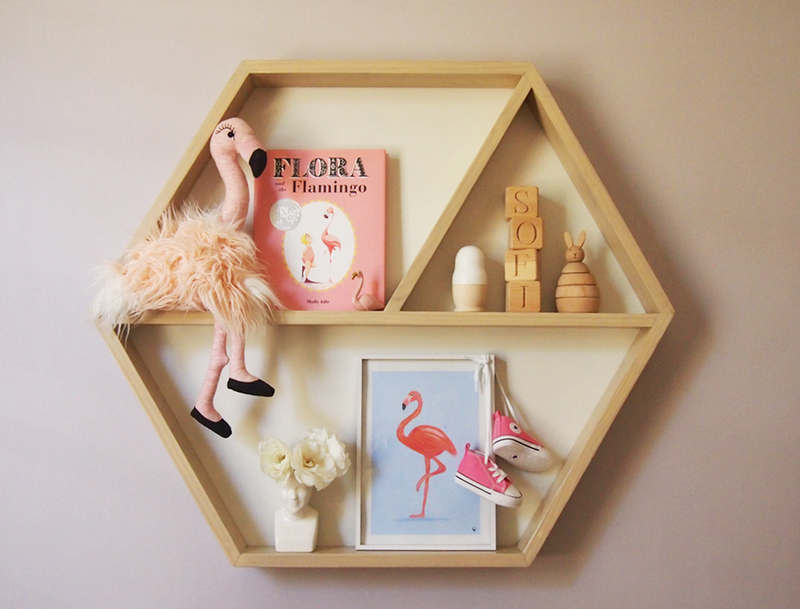 We also made the hexagonal wall frame, but you can get a similar one from Eleven Past. 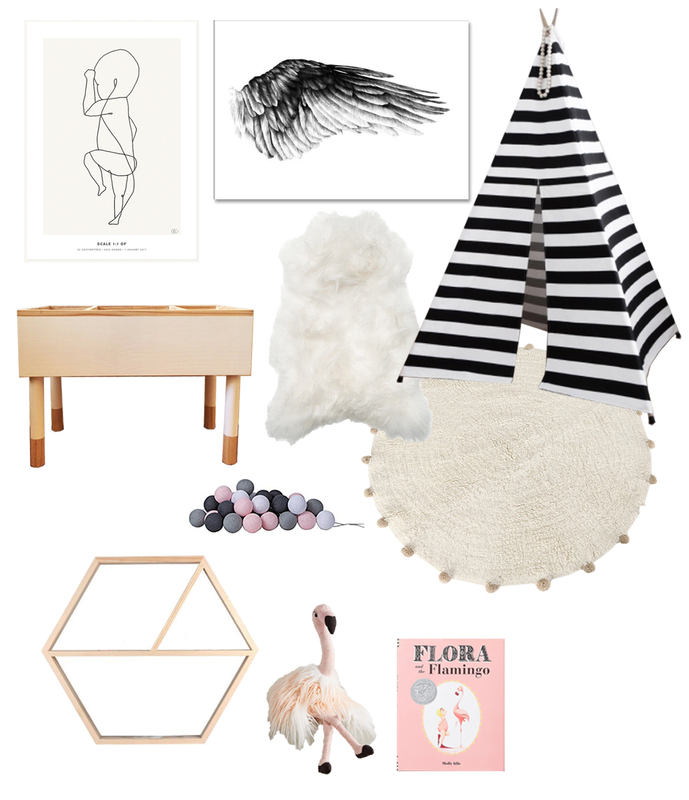 The flamingo toy and book are both from Anthropologie.